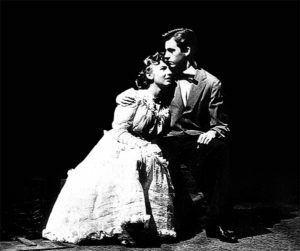 Above: In 1939, the Playhouse staged “Our Town” by Thornton Wilder. … the 100th anniversary season of Des Moines Community Playhouse—and the complete renovation of the theater—at an open house Sept. 23. When dsm got a sneak peek during the construction process in mid-July, we were excited—and surprised—by the extent of the $4.2 million makeover. Nearly every space—including the lobby, the main 412-seat theater, classrooms, bathrooms, ticket office, concession area and backstage—has been reconfigured and modernized. The renovation follows the 4,300-square-foot addition that opened in 2014, but much of the original building’s infrastructure hadn’t been updated since it opened in 1932. The Playhouse will continue its 100th anniversary celebration when it opens “Billy Elliott the Musical” on Oct. 5. Patrons will enjoy the show from new seats. Looking forward, executive director David Kilpatrick says he’d like to increase the variety of productions the Playhouse offers. “Many plays deserve to be told that have great artistic value but may not be as commercially successful as mass-appeal shows,” he says. “These productions wouldn’t replace the more mainstream fare the Playhouse specializes in, but would be an addition to it.” Expanding programming also would give performers opportunities “to grow and learn, practice and share,” he adds. The Playhouse’s 1941 production of “Ah Wilderness” starred Cloris Leachman—who went on to become an Emmy- and Academy-Award-winning actress—and Jack Mishler. Sept. 23, from 2 to 4 p.m. Visitors will be able to tour all areas of the Playhouse, including backstage. Free admission. Sept. 29, 4 p.m. Honors individuals who have made significant contributions to the theater over a long period of time. Free admission. Oct. 5-28 (dates and times vary). Tickets start at $29. Oct. 14, 6:30 p.m. Recognizes Playhouse volunteers. “So much of what we do depends on volunteers,” Kilpatrick says. “Our job is to help volunteers succeed.” Free admission. 9 View some 150 vintage and classic cars at the Des Moines Concours d’Elegance, which celebrates the art and style of automobile design. 10 a.m.-4 p.m., Western Gateway Park. Free; desmoinesconcours.com. 14 Sample and savor cuisine from more than 25 countries at the World Food & Music Festival. The annual fest also features live music, free dancing lessons, a cooking competition and demonstrations, and wine and craft beers. Through Sept. 16 (opening at 11 a.m. all three days), Western Gateway Park. Free; dsmpartnership.com. 22 The Des Moines Symphony begins its new season—and celebrates music director Joseph Giunta’s 30th anniversary with the orchestra—with Leonard Bernstein’s “Overture to Candide.” Also on the bill: Mahler’s Symphony No. 1, “The Titan,” and acclaimed pianist Inon Barnatan playing Beethoven’s “Emperor Concerto.” 7:30 p.m.; also Sept. 23 at 2:30 p.m., Des Moines Civic Center. $15-$68; dmsymphony.org. 28 Based on Alison Bechdel’s best-selling graphic memoir, the Tony Award-winning “Fun Home” follows Bechdel at three different ages, revealing memories of her dysfunctional family that surprise her in new ways. Presented by Iowa Stage Theatre Co. 7:30 p.m. Through Oct. 14 (dates and times vary), Kum & Go Theater at the Des Moines Social Club. $20-$35; iowastage.org. 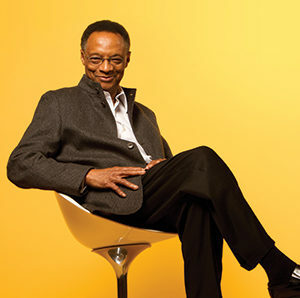 28 Known for his swinging style, jazz legend Ramsey Lewis will perform with singer Ann Hampton Callaway, backed by a quintet of veteran musicians. Presented by Civic Music Association. 7:30 p.m., Hoyt Sherman Place. $30-$70; hoytsherman.org. 28 The Des Moines Art Center opens “Neo Rauch: Aus dem Bodem/From the Floor.” The exhibit will mark the first time drawings by the acclaimed German painter will be shown in a U.S. museum. Through Jan. 6, 2019, Des Moines Art Center. Free; desmoinesartcenter.org. 2 Discover and celebrate our state’s arts and culture, beauty, and fascinating destinations at the launch party for ia, dsm’s annual statewide publication, hosted by Holmes Murphy. 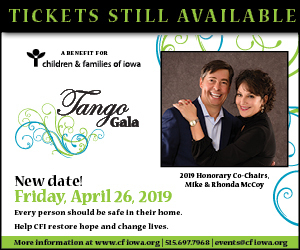 5-7 p.m. (short program at 6 p.m.), Holmes Murphy, 2727 Grand Prairie Parkway, Waukee. Free; holmesmurphy.com; iapublication.com. 5 Set in an English mining town against the background of the 1984 miners’ strike, “Billy Elliot the Musical” chronicles a young boy’s struggle against the odds to follow his dream, starting when he stumbles out of the boxing ring and into a ballet class. See story, page 34. 7:30 p.m. Through Oct. 28 (dates and times vary), Des Moines Community Playhouse. Tickets start at $29; dmplayhouse.com. 16 “Love Never Dies,” the sequel to Andrew Lloyd Webber’s “The Phantom of the Opera,” continues the story of the Phantom and his true love and musical protegee, Christine. This time, the setting is in New York. Presented by Des Moines Performing Arts. 7:30 p.m. Through Oct. 21 (times vary), Des Moines Civic Center. Tickets start at $35 (subject to change); desmoinesperformingarts.org. 19 Ballet Des Moines will present “Contemporary Works” (pictured), a selection of ballets by acclaimed choreographers, including Ma Cong. Through Oct. 21 (times vary), Hoyt Sherman Place. $25.50-$52.50; balletdesmoines.org. 27 The Des Moines Symphony spotlights Leonard Bernstein by performing “Three Dances” from his first musical, “On the Town,” and his clarinet showpiece, “Prelude, Fugues and Riffs.” 7:30 p.m.; also Oct. 28 at 2:30 p.m., Des Moines Civic Center. $15-$68; dmsymphony.org. 29 The creative folks at Silent Rivers Design + Build, led by Chaden Halfhill, always know how to throw a good party. Find out for yourself when they host the unveiling party for the November/December issue of dsm. 5-7 p.m. (short program at 6 p.m.), 9205 Swanson Blvd., Clive. Free; silentrivers.com; dsmMagazine.com.